Happy April! I don’t know about you, but we have a pretty hectic month ahead. 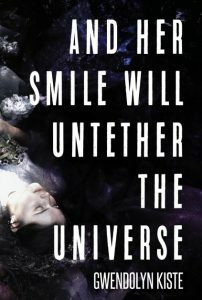 On April 14th, we’re very pleased to be publishing And Her Smile Will Untether the Universe, the debut fiction collection from Gwendolyn Kiste! A murdered movie star reaches out to an unlikely fan. An orchard is bewitched with poison apples and would-be princesses. A pair of outcasts fail a questionnaire that measures who in their neighborhood will vanish next. Two sisters keep a grotesque secret hidden in a Victorian bathtub. A dearly departed best friend carries a grudge from beyond the grave. 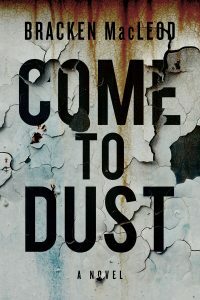 In her debut collection, Gwendolyn Kiste delves into the gathering darkness where beauty embraces the monstrous, and where even the most tranquil worlds are not to be trusted. 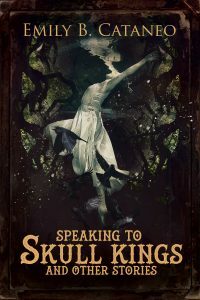 From fairy tale kingdoms and desolate carnivals, to wedding ceremonies and summer camps that aren’t as joyful as they seem, these fourteen tales of horror and dark fantasy explore death, rebirth, and illusion all through the eyes of those on the outside—the forgotten, the forsaken, the Other, none of whom will stay in the dark any longer. Then on April 21st, we’ve got the latest from Brett J. Talley. 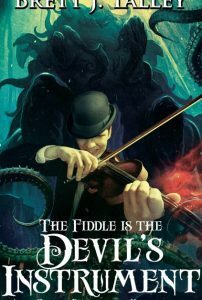 In his most recent collection, The Fiddle is the Devil’s Instrument, comes thirteen tales of the dark forces that lurk just beyond man’s understanding. A scientist who opens a door between dimensions. 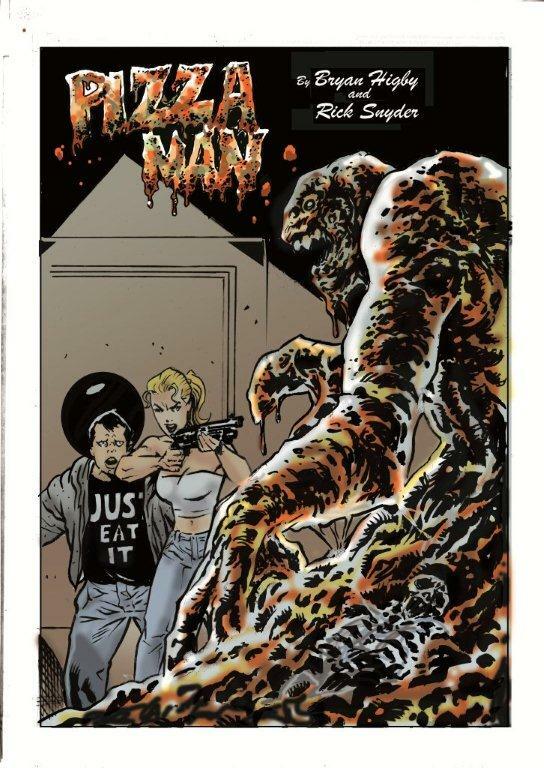 A creature that devours the dead in World War I’s no man’s land. A fiddler who can bring forth the gods of old. These are but a few of the horrors retold in The Fiddle is the Devil’s Instrument and Other Forbidden Knowledge. Read them if you must but do not forget: there are some things mankind was never meant to know. 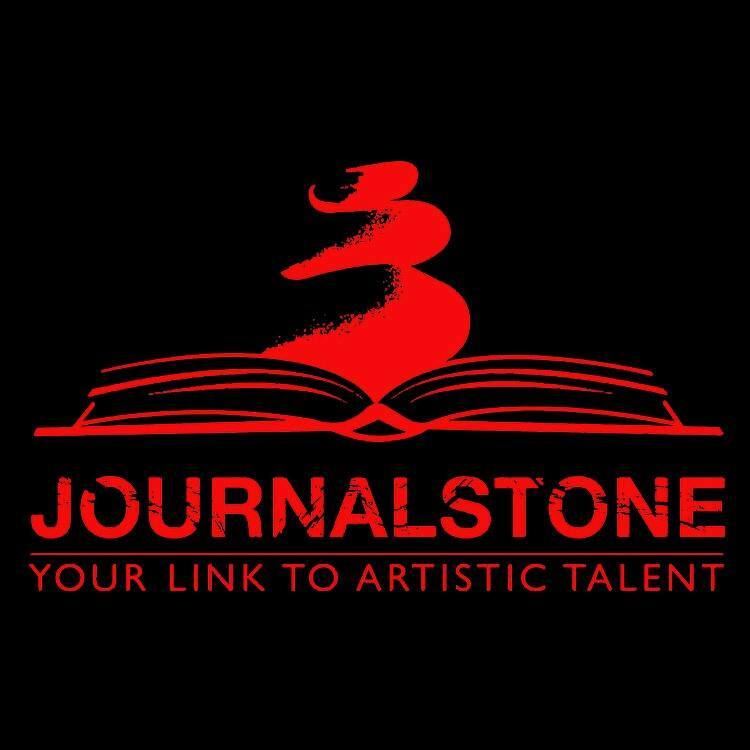 JournalStone and its newest imprint, Trepidatio, are now open to novel and fiction collection submissions! For more information, please review our submissions page. We’re also on the hunt for a Social Media Coordinator. Check out the full listing below. That’s it, that’s all, folks. Until next month! From Brett J. Talley, the master of Lovecraftian terror, comes thirteen tales of the dark forces that lurk just beyond man’s understanding. Ever since her mother abandoned her, five-year-old Sophie has had to depend on her uncle Mitch for everything. Though their life is difficult, he works hard to keep their family together, despite the obstacles in their way. But just when everything seems to be looking up for them, it all comes crashing down when Sophie dies tragically. Mitch descends into a crippling grief, not knowing how to continue on without her. 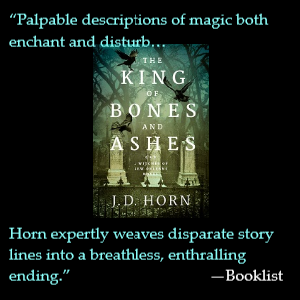 When scores of children around the world begin to inexplicably rise from the dead—Sophie among them—everything becomes much harder. 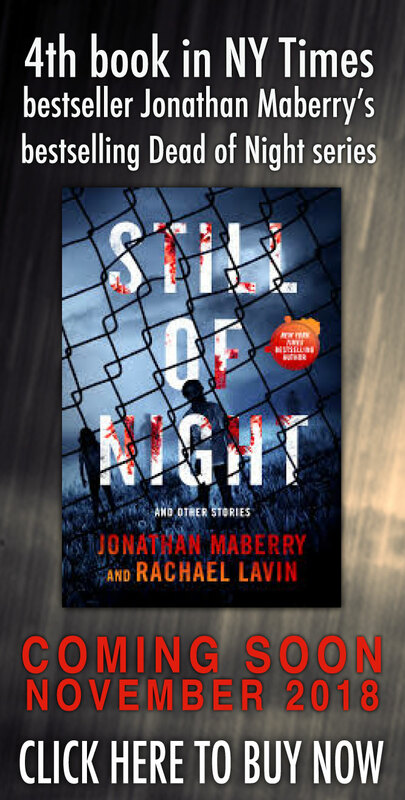 Mitch rescues her from the morgue, determined to carve out a normal life for them no matter what, though it soon becomes clear that may not be possible. While the kids who’ve returned behave like living children, they still look very dead. And they can do something else that normal children cannot. Something terrifying. 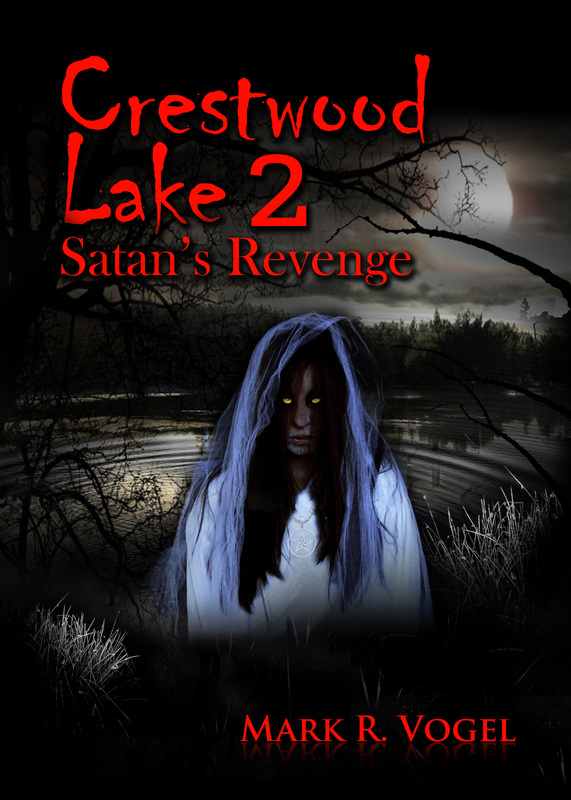 While debate rages over whether the children’s return is a mercy or a sign of approaching judgment, a congregation of religious fanatics determined to usher in the apocalypse has their own plan for salvation. It’s going to be a long, hellish day on Utica Ave. The employees of Brooklyn’s seediest soul food joint, Clayvon’s King Prawn Chicken N’ Biscuit, have a mysterious new patron: Edgerin. 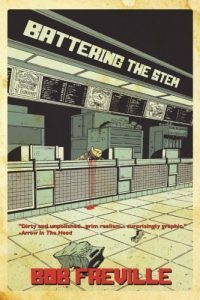 Called a “vagrant” and a “beggar”, he’s got a thing or two to learn them in the delicate art of begging… Within twenty four tense, bloody hours, all the filthy secrets buried under the nail beds of the Clayvon staff are revealed in this darkly comic urban crime story from author Bob Freville.